Yarn: Drops Lima - off white. I much prefer them with the thinner yarn, although they look identical! 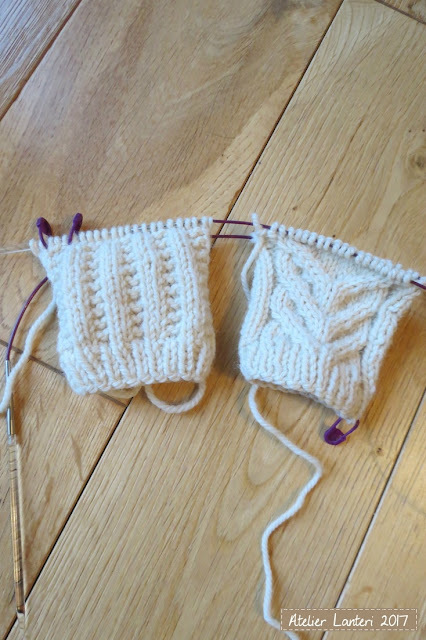 From now on, instructions for the gusset will be the same for left and right hands. Picture below is the RIGHT hand: K2, co2 (on right needle),15st on scrap yarn, ready to join to the rest of the palm on the left needle. 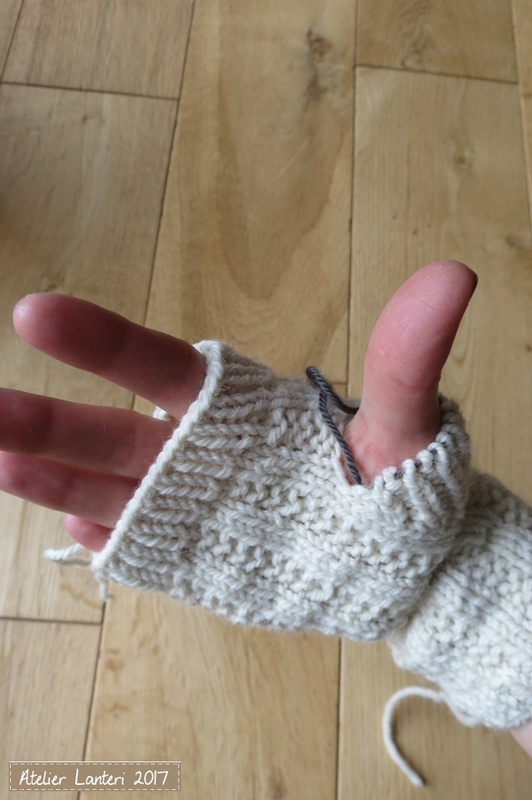 Finish the mitt, with the palm all in garter rib. 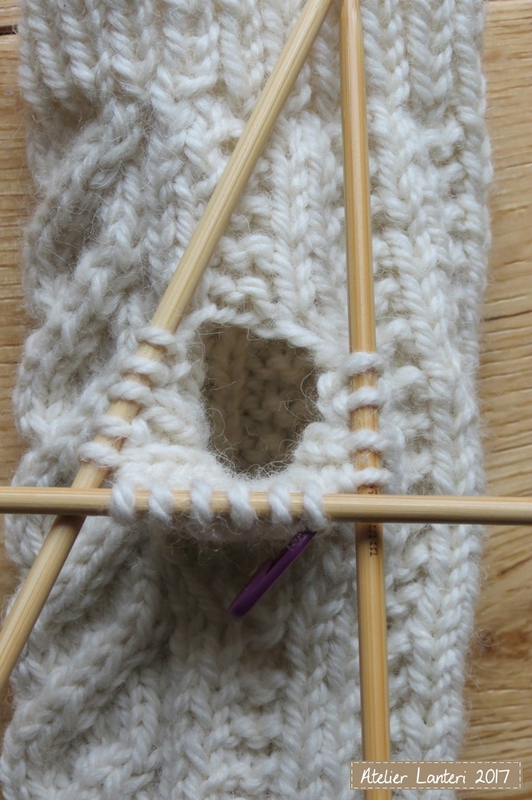 To knit the thumb, transfer the 15st on hold onto DPNs. 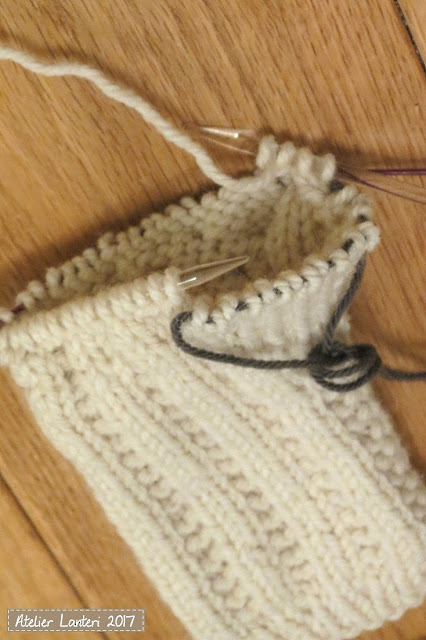 Continue working in 1x1 rib until you reach the desired length (I did 7 rows). Bind off, weave in the ends and enjoy your mitts!